This week we celebrate the annual spirits bacchanal known as Tales of the Cocktail. Atelier Vie will be participating in several events throughout the week and we invite you to join us! Our Laranjinha Cocktail, made with Euphrosine Gin #9 Barrel-Finished Reserve. Join us at State of the Art to try a brand new creation featuring Barrel-Finished Reserve. Join us at the Southern Food and Beverage Museum as bartending teams from across the city compete to create the best cocktails with (mostly) local spirits. Atelier Vie is in the mix with Euphrosine Gin #9 Barrel-Finished Reserve. Jeff Schwartz and friends from Bakery Bar will be mixing their concoction with Barrel-Finished Reserve and will be in it to win it. 1504 Oretha Castle Hailey Blvd, 6-9pm. 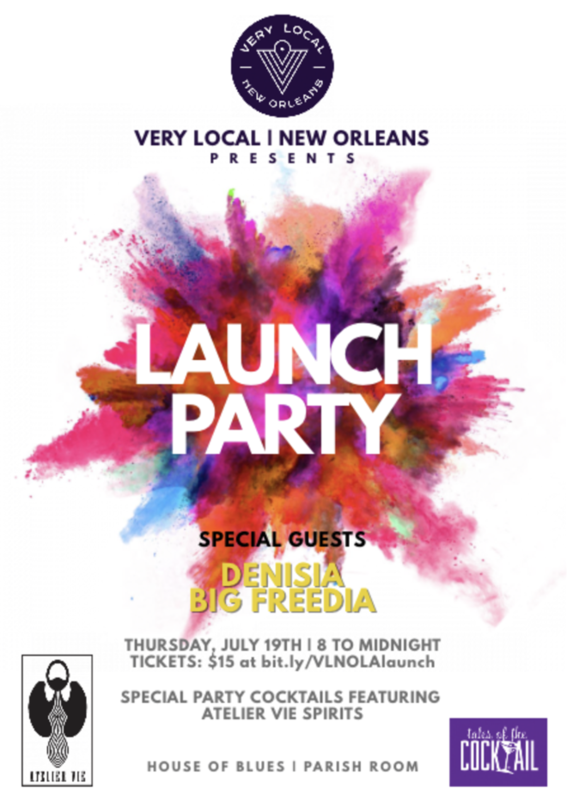 Click here for event and ticket information. 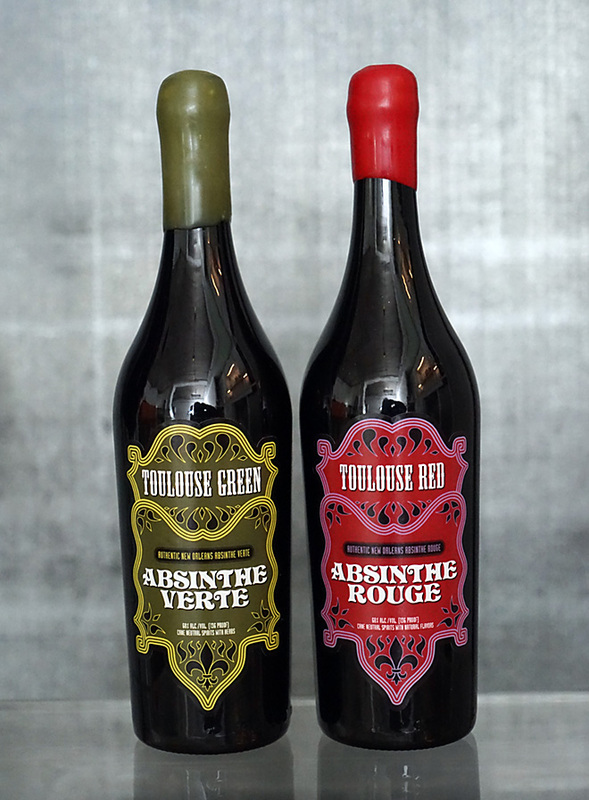 Everything you’ve heard about absinthe is true. Or maybe not. Who knows? We do, and we’ll tell you all about it at our Absinthe Salon, featuring Toulouse Red, Absinthe Rouge; and Toulouse Green, Absinthe Verte. Other spirits from Atelier Vie may be on hand for intrepid drinkers. Potions Lounge is located upstairs from Fritzels European Jazz Club at 733 Bourbon St. 6-9pm. Very Local is a new site “for locals only.” So all you tourist riff-raff keep out. Or maybe not, if you’re ready to infiltrate! Entertainment will include Big Freedia, and that gin in your system will of course be Euphrosine Gin #9 in a featured cocktail. Additional cocktails will feature our Buck 25 Vodka and Toulouse Red, Absinthe Rouge. At the House of Blues, 225 Decatur St., party starts at 9pm. OFFICIAL TALES EVENT! Join us at Danny & Beth’s remote island in Central City, where GIN MOON JOE will be the featured cocktail of the evening. 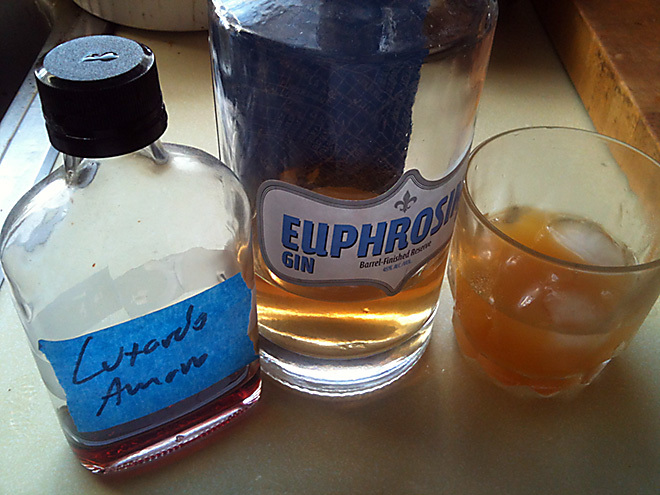 Astute readers will surely ascertain the gin used, but to be clear, Euphrosine Gin #9, the best gin distilled in Louisiana, is the spirit used for this cocktail. A portion of cocktail sales for the even will be donated to the Tales of the Cocktail Foundation. 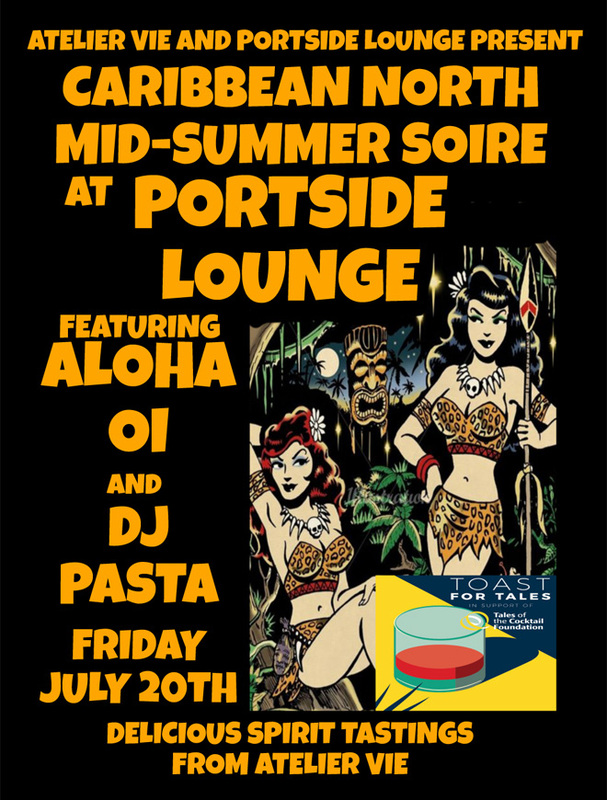 Portside Lounge is at 3000 Dryades St. and the festivities begin at 8pm. OFFICIAL TALES EVENT! This entry was posted in Atelier Vie, Barrel-Finished Reserve, Buck 25, Euphrosine Gin #9, Toulouse Green, Toulouse Red. Bookmark the permalink.